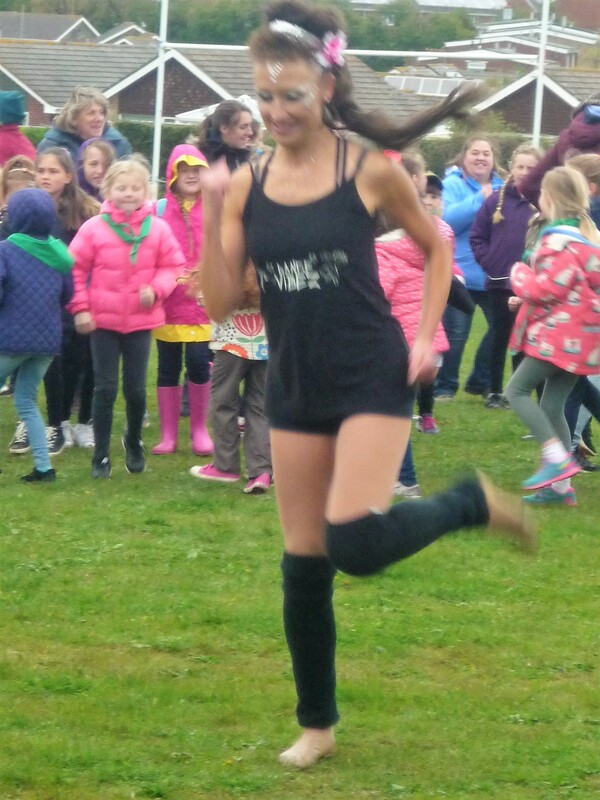 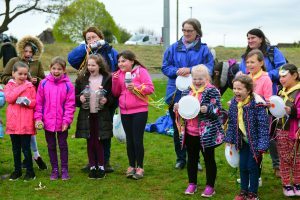 GIRLGUIDING CARNIVAL FOR ISLAND GIRLS. Scroll through for full photo gallery. 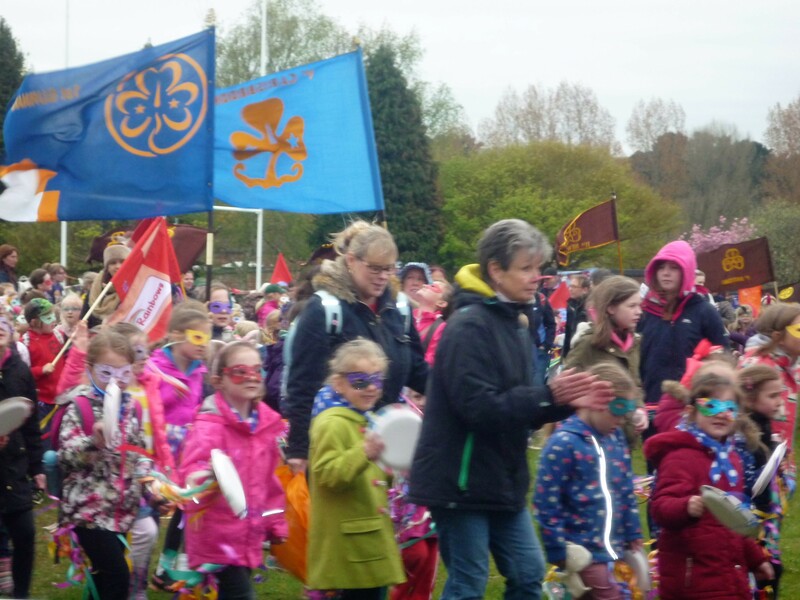 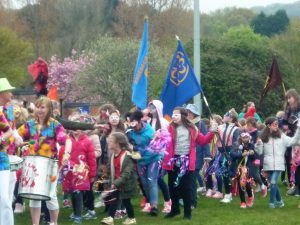 Hundreds of Girlguiding IW members gathered at Sandown recently for their own version of ‘Carnival’ a colourful County Event. 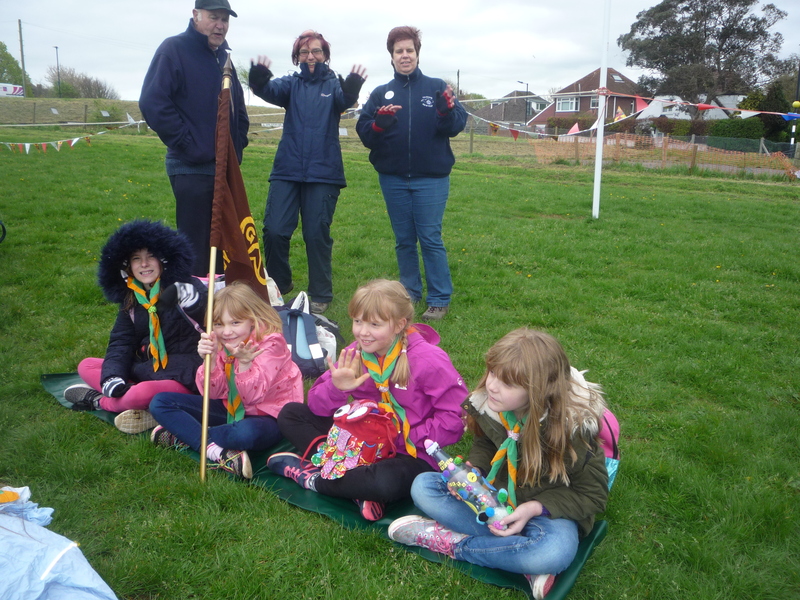 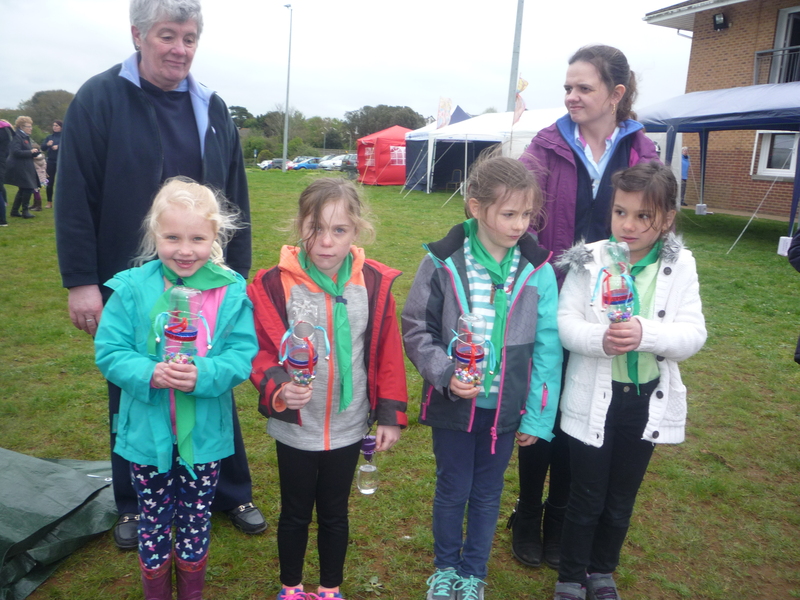 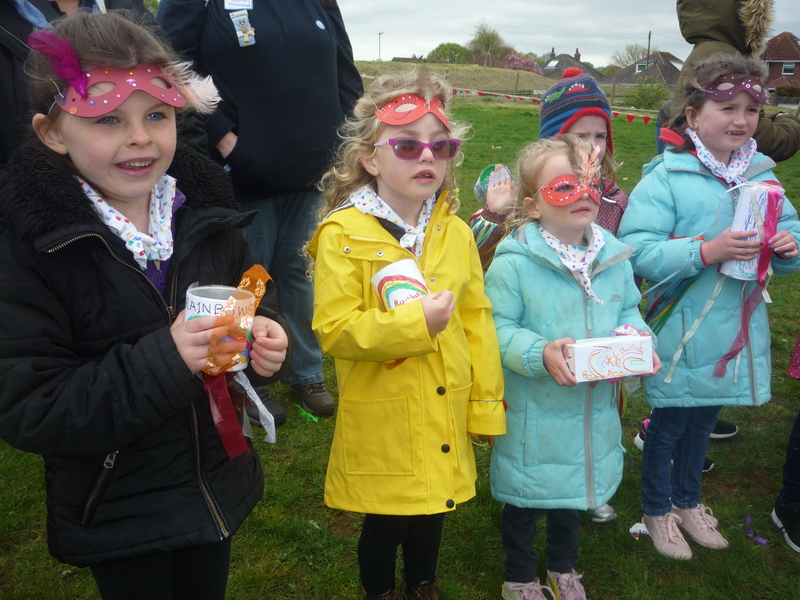 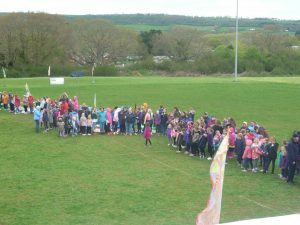 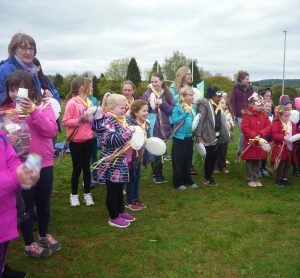 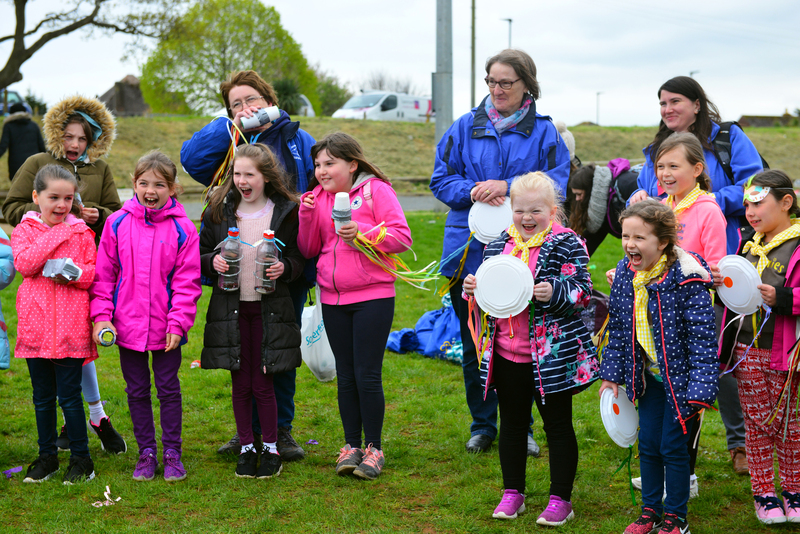 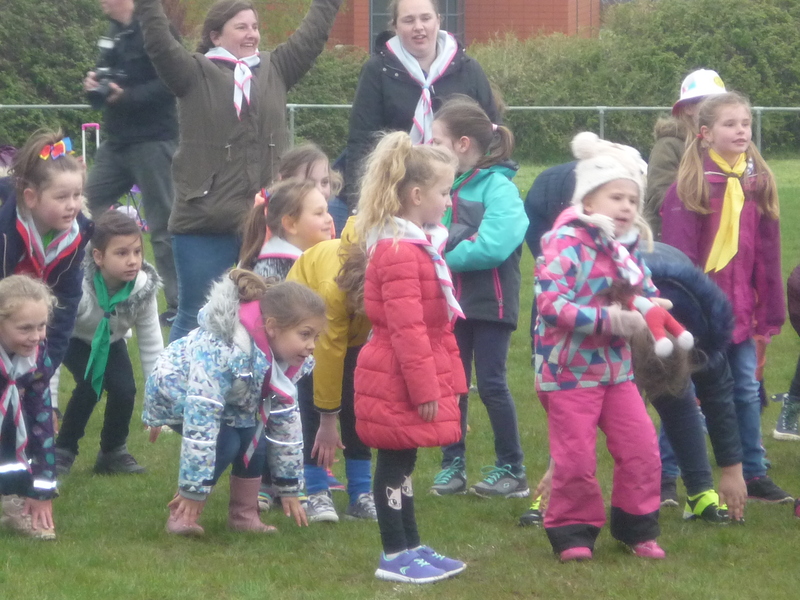 Held at Sandown Rugby Club the Island’s Rainbows, Brownies, Guides and Rangers together with leaders enjoyed the afternoon’s activities based on a Carnival theme. 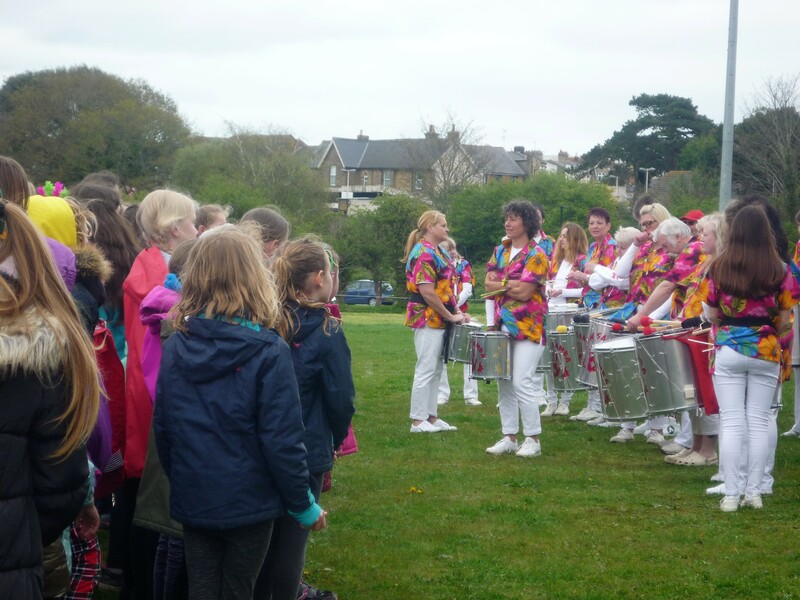 There were four main sessions to get the girls in a Carnival mood ready for a procession which was led by the members of Raw Samba. 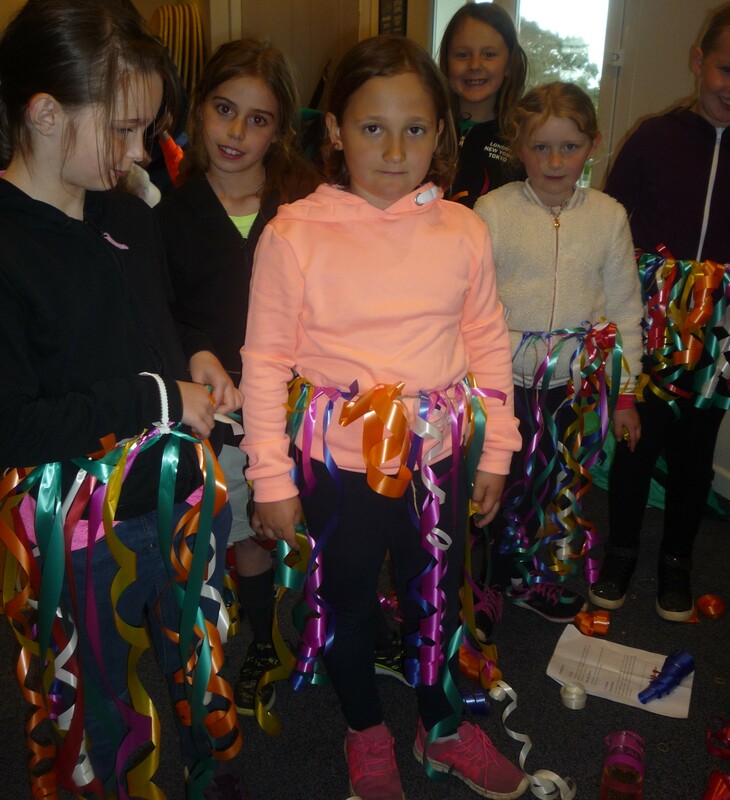 During the afternoon all the girls practiced dancing with Starlight Boutique and Ann Abe from Dance Vibes. 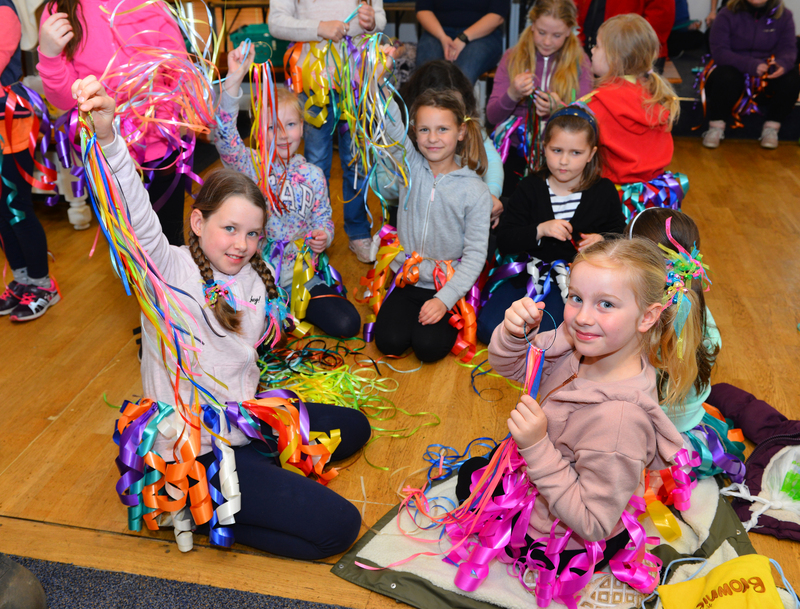 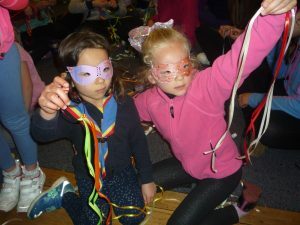 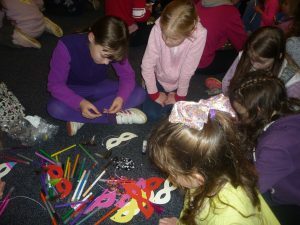 In a session led by Dan they played their home-made instruments which they had made in unit meetings, dressed in ribbon skirts and carnival masks which they had made and decorated bracelets with colourful ribbons. 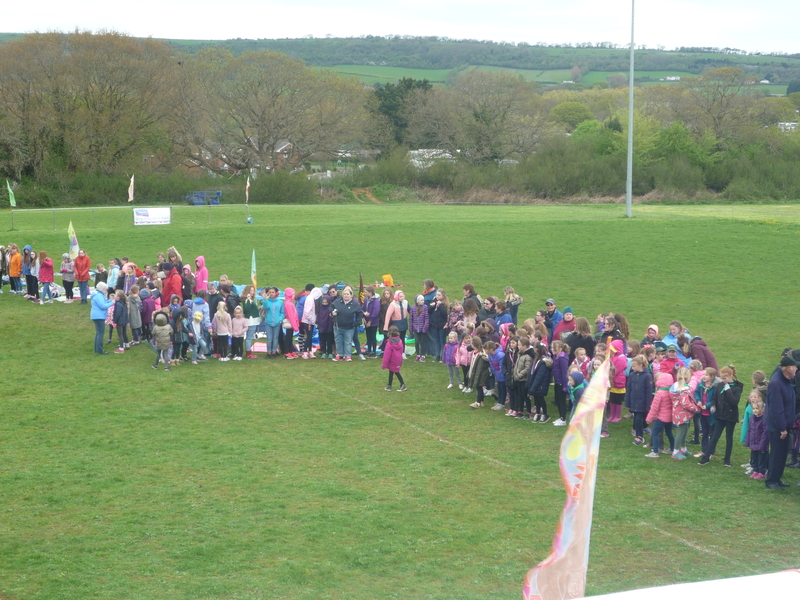 All was now set for the grand procession and what a colourful sight it made with the bright costumes together with unit flags and banners. 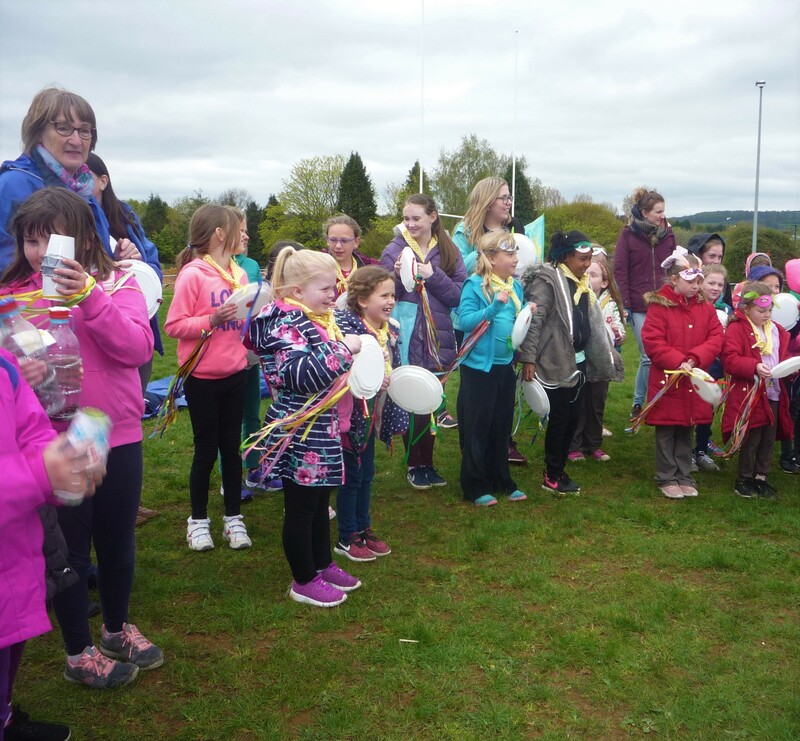 Organised by a Girlguiding IW events team and with help from other leaders, the event ended with a camp-fire singalong. Members of the events team attending were Carla Oliver, Katie Charlton, Marion O’Nions, Harriet Townsend, Angela Smith and Collette Atkins. 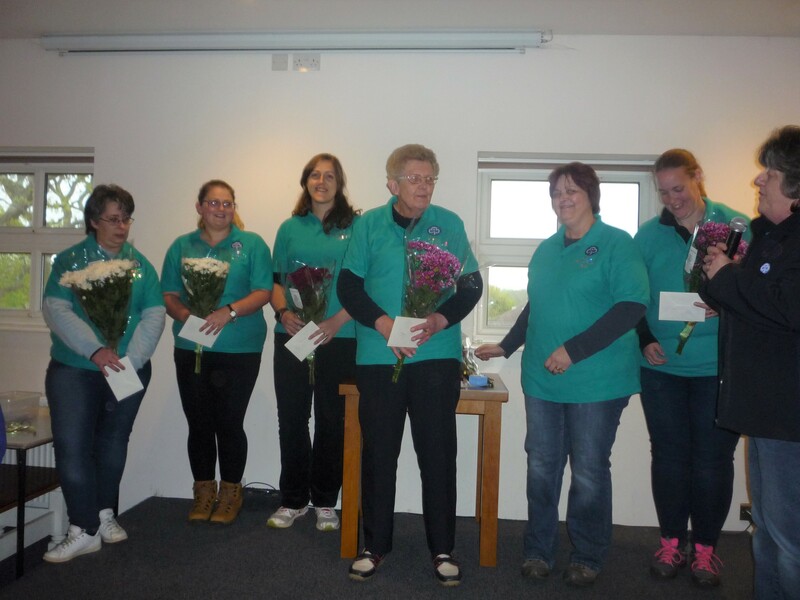 Island Commissioners Shirley Saunders and Lesley Clifford were also on hand to present several of the Island’s leaders with awards and there was a surprise for Lesley Clifford when Girlguiding County President Patricia Partridge presented her with her 30 years Award. 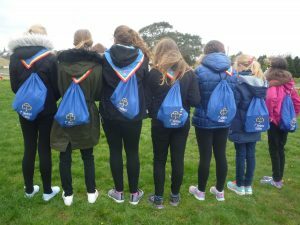 This Girlguiding IW event had some sponsorship from Morrisons. 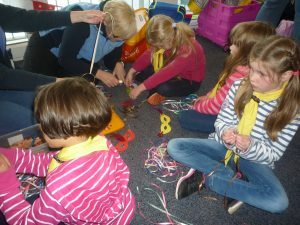 Brownies playing their handmade instruments. Girlguiding IW Carnival Extravaganza at Sandown Rugby Club. Front left Evelyn Craig, nine, and Summer Chambers, seven, from 11th Newport Brownies.